The first incremental update for the VLC 2.2 series is available now. The version 2.2.1. fixes a lot of bugs; numerous crashes (FLAC, SPC), codec issues (VP9, Atrac3, AAC), regressions and several issues (Resume, MP4 chapters, MKV over network). And it addresses some security issues too which makes this a recommended updgrade. The source release was several days ago but the VideoLAN team has waited with the official announcement in order to double-check that this release does not contain unwelcome surprises. In memory of Terry Pratchett, the famous writer of fantasy books who passed away recently, this release has been dedicated to him. 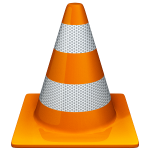 VLC 2.2.1 has been nicknamed “Terry Pratchett (Weatherwax)“. Note I compiled the packages on Slackware 14.1 which is the cause of one bug in the package if you use it on Slackware-current: the ProjectM visualisation plugin does not work because of a libGLEW library version error. I have not yet been able to find a fix for it, but the impact is fairly minor so I let it pass. Thanks Eric! Slackware and Vlc, Solid! VLC is the best media available (IMHO). If you want a non open source way to get commercial blu-rays to work without worrying about aacs keys being up to date is to use and install MakeMKV (free whilst in beta) and symlink its libmmbd.so file (which emulates libaacs and libbdplus) so that VLC uses that instead and then your BDs will play fine. You guys do not know about Discipline. No even a bug report for slackware.com! Hi Rodrigo, try to find out more about that segfault. What is the exact error? What do you see when you start “strace vlc” and examine the output after the segfault occurs? Ran strace vlc and it ran for over a 1,000 lines. Basically, it, i.e., VLC, can’t find just about any file you can think of that might be associated with it. cwizardone, please try to read the strace output for what it is. It is a useful tool in the hands of the experienced user but it will show attempts to find libraries in all locations – and that generates many false positives. Don’t just yell “can’t find just about any file you can think of” because you also need to check for that line where the “missing” file is actually found. Explicit error texts are the only thing I can work with. Like I said, it might as well be written in ancient Greek. If these commands, i.e., LD_DEBUG=files vlc, generate a log file, tell me where to find it and I can send the logs to you. VLC is affected too by the latest Slackware update. Some modules fail to load because of version change of libgcrypt and icu. I guess that a recompilation would solve the issues. Yes a recompilation will fix that. But since these few broken modules are not too important to me I will not recompile vlc for -current. Tired to compile VLC with your build and script (restricted), but it ground to a halt each time. Then I tried various versions and found that VLC 2.1.4, built for Slackware64-14.0, works just fine in current. Unfortunately, trying older versions of WINE didn’t meet with the same success. Thank you very much for rebuilding VLC for -current! “…Executing install script for vlc-2.2.1-x86_64-2alien.txz. Not sure what WINE has to do with it, but maybe I should install your WINE package vs. the latest from SourceForge? Removed the WINE package and latest VLC package. I’m guessing the upgrades of 4 May (actually, late the 3rd in Minnesota) and your multilib upgrades of the same date, made the difference, as I was able to install and run your last WINE package and install, without error, your latest VLC package for -current. Do I need to recompile vlc to fix this? I think this is due to being compiled on 14.1 which uses an older version of icu4c. That file comes from the npapi-vlc package. And it seems I forgot to update the BUILD number apparently, when I compiled vlc and npapi-vlc for slackware-current. Please re-install the npapi-vlc package after downloading it from a mirror and the library error will be gone. thank you, the error is gone now after reinstalling the npapi-vlc package. Do I need install all dependencies as described on slackbuilds? Hi “K”. You could just as well have called yourself “anonymous”. Do not make the mistake of thinking that my VLC package is the same as the vlc.SlackBuild script at slackbuilds.org. Either you use the script on slackbuilds,org AND you additionally install every one of the dependencies you mention; OR you use my VLC package and you do not have to worry about dependencies because they are all already built right into my package. No need for separate packages. This is called “statically linking the support libraries into the package”. Please check if possible http://www.slackware.com/~alien/slackbuilds/vlc/build/vlc.SlackBuild . – When trying to create a VLC package for some reason, the binary VLC is not created. The build is completed and the package is created normally. What’s there to check? That script built all the VLC packages you can download from my repository. If you are unable to compile it yourself, just download and install my package. After the construction of the package by vlc.Slackbuild, I noticed that he did not create the directory “/ bin” within the package. That’s what I tried to explain in my previous post. Ready package, which you mentioned, works correctly. Sorry for the “bad English” I am learning the language.